GCT Semiconductor and LPWA network provider Sigfox announced a multi-mode, hybrid, LTE combo Sigfox chip that they say will save IoT applications money. 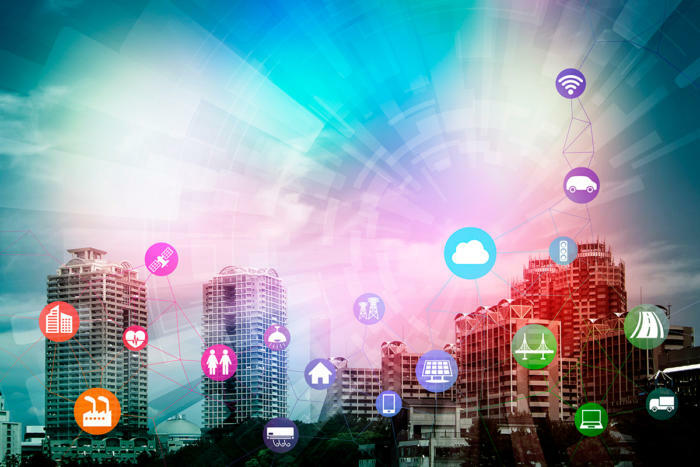 Hybrid IoT -Using a sole communications technology doesn’t make sense in many Internet of Things (IoT) implementations, says connectivity vendor Sigfox. In fact, the company, which provides Low Power Wide Area (LPWA) networks, says one could use a hybrid that includes an unlicensed LPWA network along with a licensed, cellular LTE narrowband IoT (NB-IoT) or LTE Cat M1 network solution instead. That way you can support cheap, unlicensed IoT short messaging close up, as is offered by Sigfox and others, and then offload the sensor traffic to more expensive, licensed LTE cellular mobile networks as the devices move off home base, such as what happens in asset tracking, Sigfox says. “One size fits all is no longer valid,” said Ajay Rane, vice presdient of mobile network operator business development for Sigfox, speaking at Mobile World Congress Americas in Los Angeles last week. Sigfox says a new duo chip — a multi-mode, hybrid, LTE LPWA microprocessor created with GCT Semiconductor — is now available for integration into IoT modules, and some manufacturers are in development with it. Rane says many IoT communications projects are over-specified using only cellular and that Sigfox’s 12 byte message limit, with transmissions at most every 10 minutes, offers significant cost, weight, and power advantages if all you’re doing is sending a short message, such as a temperature or position. Rane acknowledged during his presentation, however, that Sigfox’s LPWA network isn’t as far reaching as cellular networks — hence the radical Sigfox geo-fenced optional offload to LTE from the duo-network chips. That combination will save money over a dedicated NB-IoT cellular solution, Rane says. Licensed NB-IoT networks are coming on stream now. T-Mobile launched a national network in July, and AT&T said it will launch one in 2019. Verizon is also working on one, and Dish Network’s is due in 2020, according to AGL Magazine. All of them, including Sigfox’s unlicensed LPWA network, offer low data throughput with good power management — well suited for many kinds of IoT sensors. But for tracking, cellular networks have widespread, national connectivity, unlike Sigfox’s network running on the unlicensed Industrial, Scientific, and Medical (ISM) 915 MHz band. While a global network, Sigfox’s U.S. base stations are predominantly around major airports. Power use, though, is one of Sigfox’s primary differentiators. “How much energy will you expend when you send a message?” Rane asked at the show. It’s important “because that will determine how long your battery will last.” Sigfox claims it offers the best battery longevity — in part because of its limited message size.